Toledo claimed a hard-fought 46-43 victory over Georgia State Sunday in the championship game of the Georgia State University Holiday & Hoops Tournament inside the GSU Sports Arena in Atlanta. Sophomore Inma Zanoguera was named the tourney MVP. With the triumph, UT wrapped up its non-conference slate with a 12-1 mark. Senior Naama Shafir led the Rockets with 11 points, while junior Andola Dortch had 10 points to help extend the Rockets’ win streak to 11 consecutive games. The three-time Mid-American Conference West Division Champions also received stout efforts from senior Lecretia Smith (8 points, 4 rebounds) and sophomore Inma Zanoguera (7 points, career-high 14 rebounds) to capture an unprecedented fourth tourney crown this season. Zanoguera was named the tourney MVP, contributing 8.5 points, 9.0 rebounds and 3.0 assists in this weekend’s two victories. The Llucamajor, Spain, native was joined on the all-tournament squad by senior Yolanda Richardson (14.0 points per game, 5.0 rebounds per game). The storyline in Sunday’s non-conference finale was UT’s ability to get to the charity stripe and convert. The Rockets made 11 of 16 free throws, while GSU (8-3) converted only two of six. Toledo also displayed an exceptional effort defensively and limited the Panthers to 31.7 percent (19 of 60) from the floor and 33.3 percent (2 of 6) from the free throw line to deny the home team their championship on their home court. Kayla Nolan and Kendra Long paced Georgia State with 13 points each. In a showdown where field goals were truly hard to come by, the Rockets received back-to-back layups from junior Brianna Jones and Richardson to give them an early 9-2 lead at the 12:59 mark. UT would not score for the next five-plus minutes, while GSU countered with a 7-0 run to knot the difference at 9-9 with 7:56 left in opening half. Three different Panthers were credited with baskets in the burst to draw the teams even. The score would be tied on three more occasions, before Georgia State utilized a 7-2 run to open up a 22-17 lead with 1:38 left before intermission. Nolan started the rally with a three-point play, while Cody Paulk and Long also contributed field goals to give the home team a two-possession lead. Zanoguera singlehandedly kept Toledo within striking distance in the waning moments of the first half and accounted for the teams’ five points to trim the deficit to 22-20 at the break. GSU’s Long buried a pair of triples to being the second half, extending its margin to 30-25 with 17:02 left in regulation. The Panthers continued to press the action and six-straight points from Nolan made the score 36-30 at the 10:53 mark. Toledo then seemed to find its groove offensively for a moment and responded with a game-changing 10-2 run to recapture the lead, 40-38, with 8:06 remaining. Shafir started the burst with a trey, followed by back-to-back layups from Smith and a three-point play by Dortch to give the visitors their first lead since the 4:21 mark in the opening period. Unfortunately for the Rockets, they were unable to sustain that momentum. With the shots just not falling, UT relied on its defense to maintain its advantage and it delivered. Neither team scored for the next five-plus minutes, until UT’s Smith made a layup with 2:12 left in the contest. The squads then traded points before Toledo’s defense came up big one more time and forced a pair of misses to maintain the four-point bulge, 44-40, with 33 seconds left. GSU’s Long broke the dry spell by splitting a pair of free throws, while UT’s Dortch drained both of her charity tosses to increase the margin to 46-41 with 22.3 seconds left, closing out the hard-fought triumph. Toledo will open up its 32nd MAC season vs. Central Michigan Thursday, Jan. 10. Tipoff at Savage Arena is scheduled for 7 p.m., and the game will be televised on SportsTime Ohio. 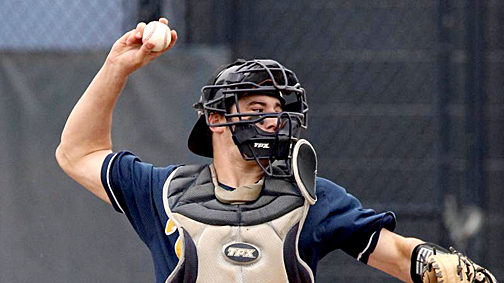 Former Rocket catcher/infielder Jim Vahalik has earned an opportunity to continue his professional baseball career. He has been invited to spring training with the Baltimore Orioles. The four-year letterwinner for the midnight blue and gold is slated to report to Sarasota, Fla., Feb. 12. Vahalik wrapped up this past summer as a member of the Washington Wild Things in the Frontier League. The Westerville, Ohio, native collected 15 hits and nine RBI with the Wild Things. He was acquired by Washington from fellow Frontier League member London Rippers July 26. He batted .282 (49 for 174) with 21 runs scored, six doubles, one triple, two round-trippers and 24 RBI in 51 games for the Rippers, en route to being named an all-star. He signed as a free agent with the Rippers’ organization following the completion of the 2011 Major League Baseball Draft. Vahalik collected a .285 career batting average with 13 home runs and 86 RBI in his time with the Rockets. He played a key role in helping UT advance to the Mid-American Conference Tournament each of his final three seasons. 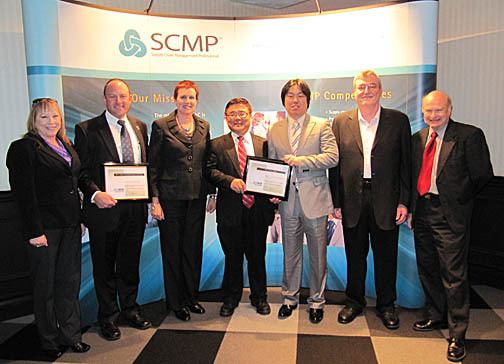 Posing for a photo at the symposium were, from left, Cori Ferguson of the Purchasing Management Association of Canada, Dr. David Dobrzykowski, Cheryl Paradowski of the Purchasing Management Association of Canada, Dr. Paul Hong, Dr. Seong Ho Kim of the Gyeongnam National University of Science and Technology in South Korea, Dr. Paul Larson of the University of Manitoba and Dr. Clay Whybark of the University of North Carolina at Chapel Hill. Dr. Paul Hong, professor of information operations and technology management in UT’s College of Business and Innovation, recently served as co-chair of the Purchasing Management Association of Canada’s 10th Annual International Symposium on Supply Chain Management held in Toronto. The symposium, “Exploring the Leading Edge in Supply Chain Management: Complexity, Responsiveness, Governance,” brought together leading supply chain scholars and executives to link research to practice in emerging areas in the field. The conference concluded with a panel of professors from McMaster University, Ryerson University and Dr. David Dobrzykowski, UT assistant professor of information operations and technology management, and director of the School of Healthcare Business Innovation and Excellence. The panelists discussed developing areas, including health-care operations and supply chain management, green supply chain and sustainability, as well as behavioral operations. 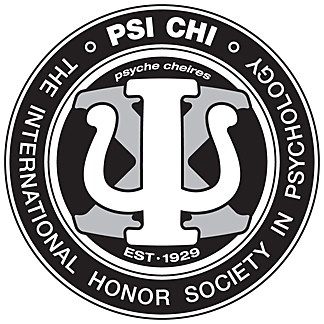 The 40-year-old chapter of the psychology honor society Psi Chi at The University of Toledo has won its first international award. The chapter has received the Psi Chi Model Chapter Award for 2011-12 because of its outstanding membership, correspondence, involvement and projects. UT’s chapter was one of 50 to receive the award out of 1,100 chapters across the United States, Canada, the Caribbean, Ireland and New Zealand. Throughout the past few years, chapter members have been working hard to receive recognition from the organization, which is one of the largest honor societies in America and has been around since 1929. During the past two years, membership recruitment has grown, going from around 10 new members in the previous year to more than 20. Also, each year, the chapter attends the Midwestern Psychological Association conference in Chicago, where members present results from a research study they prepare before the conference. While members are generally undergraduate students, there are some graduate students who help with fundraising as well as conduct panel discussions where undergraduate students can learn about applying to graduate school. “It’s a lot easier for the graduate students in our program to give insight into the process of applying to graduate school than it is for some of the faculty who haven’t done that in a while,” Rose said. The chapter officers who helped the organization to win the award were President Juliana Black, Vice President Jacqueline Deaton, Treasurer Zachary Jenkins and Secretary Hanna Wutrick, who is this year’s president. For more information, visit utole.do/psichi. The past few months have been a difficult time for Halley Briglia, a fourth-year medical student at The University of Toledo, who was the victim of a violent armed robbery in October while in St. Louis for a neurology visiting rotation at Washington University. While such a tragic event could alter a person’s outlook on life, Halley, who suffered a gunshot wound in the attack, has chosen to continue a positive outlook and expressed her gratitude to the UT community for its support through her recovery. “Several members of the community have not only expressed their concern for my well-being but have gone out of their way to offer help and support,” she wrote in an email to Dr. Jeffrey Gold, chancellor and executive vice president for biosciences and health affairs, and dean of the College of Medicine and Life Sciences. Halley wished to express to campus that she is recovering well and is continuing to interview for neurology residency positions. Ms. Briglia’s story also was recently documented in The Blade available here. I want to start by saying “thank you” to everyone at the University of Toledo for their outpouring of support during this difficult time. I was truly touched by the number of cards, flowers, and well wishes that I received and that I still continue to receive. Several members of the community have not only expressed their concern for my well-being but have gone out of their way to offer help and support. A tragic event such as this can make one question the state of mankind, but through the actions of the university I have felt only overwhelming kindness, love, and a spirit of concern for fellow man. Thank you. I have been recovering well and have gone on almost 9 Neurology Residency interviews now! Traveling has been a challenge, but I am very lucky to have a support system that has made the travel and interviewing possible. Though this incident has complicated and compacted my interview season, I should be able to accomplish most of my previously planned interviews. I have been continuing my course work during this time and plan to return to the health science campus in February to complete my clinical rotations. Thus, through the support of my friends, family, the university, I should be able to graduate and match with my class! The University of Toledo has undergone countless changes throughout the last four decades, and Karen Papadakis has experienced them all. 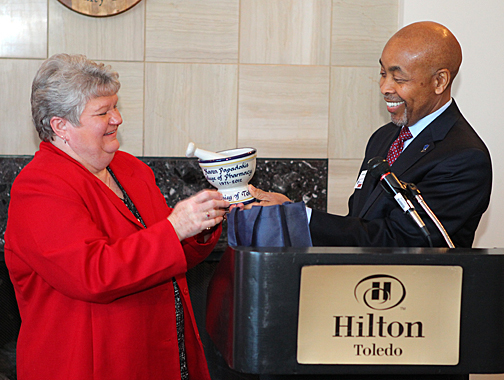 Dr. Johnnie Early, dean of the College of Pharmacy and Pharmaceutical Sciences, presented a UT mortar and pestle to Karen Papadakis, administrative secretary in the Department of Pharmacology, who retired last month after 41 years at the University. After 41 years and four months of working at UT, she is moving on — and taking with her great memories and friendships she made during her time at the University. After graduating from high school in Tecumseh, Mich., she moved to Toledo and began working at UT while taking classes to earn an associate of applied business degree. 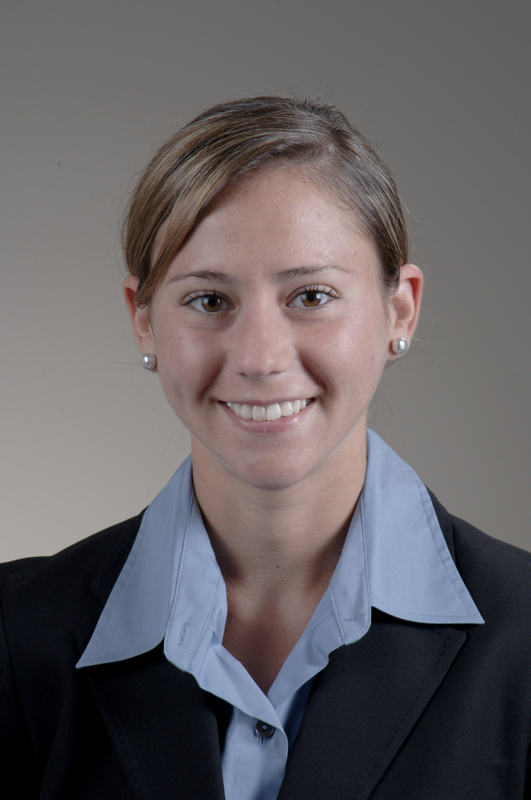 While at the University, Papadakis has worked in four different colleges, most recently as an administrative secretary in the Department of Pharmacology in the College of Pharmacy and Pharmaceutical Sciences. One of her favorite UT memories: When her twin sister took classes on campus and the two constantly were mistaken for each other. To combat this, the sisters made a pact to be friends with anyone who greeted them whether they actually knew the person or not. Papadakis plans on spending more time with her family, including her husband, Alexander ‘the Great,’ as she refers to him, their two children and three grandchildren. Additionally, she will continue her monthly tradition of attending lunch with some of her friends from when she worked in the College of Education and being a member of a book club that she founded with her friend, Pam Hennen, secretary in the College of Pharmacy and Pharmaceutical Sciences Student Services. Leaving the University does not mean Papadakis is leaving her connection to education as she plans to volunteer as a reader or tutor for literacy programs in the area. When Stacey Turner decided to start her own business in 2000, she only knew she wanted either a flower or bridal shop. Turner said that back then, bridal shops kept going out of business in the Toledo area, and her loan officer pointed out to her how many flower shops were for sale. 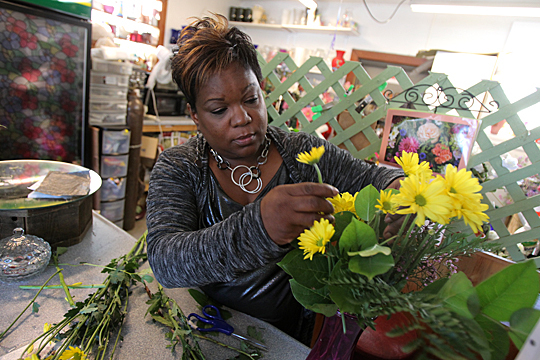 So she opened Blessed Blossoms Flower Shop at 3365 Lagrange St. in central Toledo, and the business has become a community staple for both faith and flowers. Stacey Turner tended to an arrangement at her business, the Blessed Blossoms Flower Shop, which is one of the vendors involved in Supply UT. The experience of owning a business has been rewarding, she said, adding that she has been able to supply flowers for The University of Toledo’s and city of Toledo’s Dr. Martin Luther King Jr. Unity Celebration for several years. Turner also has delivered flowers for the annual Rosa Parks celebration sponsored by the Toledo Board of Community Relations and the UT Catharine S. Eberly Center for Women’s Legacy Celebration. Turner had never worked with flowers prior to starting her shop. She used her remaining vacation time at her former occupation to go through a florist program in Cleveland. She reduced her employment hours to 20 per week while establishing her flower shop. Turner’s shop sells all types of flowers, plants, corsages, balloons, memorial stones, afghan throws, greeting cards, and specialty wedding and sympathy arrangements. Blessed Blossoms is one of the vendors involved in Supply UT, which is a program led by the UT Office of Equity, Diversity and Community Engagement to showcase local vendors and encourage support from University employees. The first Supply UT event on Centennial Mall in July featured a wide variety of local vendors, including Blessed Blossoms. “The Supply UT event was well-executed and very beneficial to the businesses involved,” Turner said. Other vendors for Supply UT represented restaurants, graphic design, electrical, moving services, office supplies, printing and more, said Dr. Shanda Gore, associate vice president for equity, diversity and community engagement. “We are partnering with our vendors and are committed to increasing opportunities through the Supply UT program,” Gore said. Learn more about Blessed Blossoms here. Last night an incident occurred in the International House residence hall that has earned a great deal of attention from local, regional and national media. As has been and will continue to be reported internally and externally, two students were involved in a dispute that escalated and ultimately resulted in the death of one student and serious injuries to the other. As our thoughts are with the families of those involved, questions have continued to linger about the specifics of the incident. To be clear: There were two students involved in the altercation and police continue to investigate with hopes of determining exactly what happened that led to this tragic end. There is nothing to indicate that any others were involved in the assault. We will continue to post updates at myUT.utoledo.edu as information becomes available. If you would like to sign up to receive immediate updates on urgent situations, please register for UT Alert. If you believe that you registered previously, but did not receive a notification last night, please revisit the registration page and reactivate your account. Many members of the university community have come forward to provide support in this difficult situation. From our UT police, to maintenance staff, to student affairs professionals, to the communications team, we are focused on assisting anyone impacted by this isolated event, and we are committed to providing everyone with accurate information as we are able. As Dr. Kaye Patten Wallace and President Lloyd Jacobs expressed earlier, this tragic, isolated incident has been a shock to all of us, but we will persevere. Many of you have already received word of a disturbing and tragic event that took place in a University of Toledo residence hall Wednesday evening. For those who are not aware, it currently appears that two UT students were involved in a dispute that escalated and ultimately resulted in the death of one student and serious injuries to the other. This appears to be an isolated incident involving students who were living in the residence hall during winter break. University of Toledo police continue to investigate and we will share additional details as that investigation unfolds. Our thoughts are with the families of the students involved and we share the pain that they are feeling. We are committed to maintaining a safe campus environment and have resources to help keep that commitment. If you would like to sign up to receive immediate updates on urgent situations, please register for UT Alert. This tragic, isolated incident has been a shock to all of us, but we will persevere and learn from this situation. The University of Toledo has resumed normal activities while UT Police continue to investigate an incident that occurred Wednesday night at International House resulting in the fatal stabbing of one UT student and serious injuries to another. While the investigation is ongoing, UT Police believe the two individuals were the only people involved in the incident. Just after 9 p.m. Wednesday night, UTPD responded to a 911 call and upon arriving on the scene, found the first individual injured from apparent stab wounds outside the front of International House. The individual was taken to a local hospital. A second individual, who also was injured with apparent stab wounds, was found outside International House and was pronounced dead on the scene. UTPD then issued a UT Alert advising the campus community that there was a dangerous situation at International House and to keep clear of the area. International House is home to six students, four staff and four student workers during winter break. University counselors were on scene to speak with those impacted by the incident and are available to speak with any member of the UT community. The University of Toledo’s Department of Residence Life is working to relocate all individuals to other housing on campus for the remainder of the winter break. 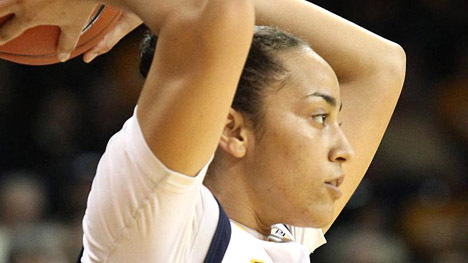 The University of Toledo will provide additional information as it becomes available.